The competitive nature of this niche industry has led to rapid commoditization, which has ultimately driven down manufacturing costs. Manufacturing time is critical and factors like time-to-market and time-to-customer either make or break the company. Stringent regulations in batch manufacturing industries like pharmaceuticals and specialty chemicals are driving the need for product quality, reliability, batch tracking and compliance. Production personnel lack the mission critical decision support needed to respond to exceptions and to meet their targets. Decreasing the need for dedicated personnel and reducing paperwork for manufacturers are the primary services the products endeavor to deliver. Connection between the plant and the enterprise, and further between the supply chain, is critical in achieving the promised goals. With SAP Manufacturing Integration and Intelligence (SAP-MII) and Performix xMES, AGS possesses an entire suite of manufacturing solutions for SAP clients in the life sciences, consumer products, and process manufacturing verticals. 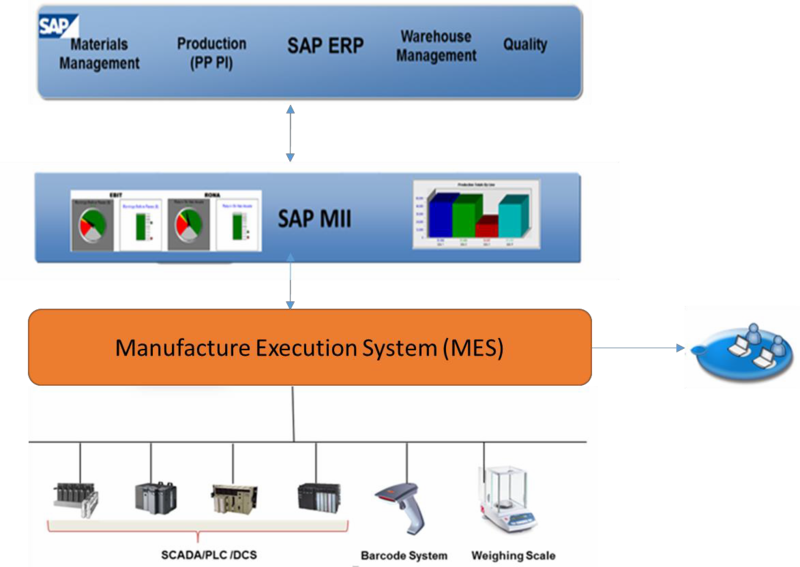 By providing industry focused solutions that extend the value of the client’s SAP investment, the Manufacturing Execution System (MES) solutions suite accelerates manufacturing visibility and control by connecting the enterprise to the shop floor. Unlike traditional MES and Manufacturing Operations Management (MOM) solutions where there is a significant functionality overlap with the existing back-end systems like ERP, Laboratory Information Systems (LIMS), maintenance systems and process historians.